To compete with direct writers in today’s market, it’s more important than ever for independent agents to develop and maintain personal relationships with their clients. Let’s start with the obvious. The direct writers have impressive consumer-facing technology, seemingly bottomless marketing budgets, and extremely competitive rates. But that’s nothing new. Many independent agencies have proved in the last decade that they’re still able to separate themselves from the big guys and attract and retain new clients. Like beer and whiskey, each kind of communication is fine on its own. But whatever you do, don’t mix them. Then why should independent agents be concerned? The first reason is that our society relies more and more on technology every day. Having instant access to policy information or being able to file a claim or change coverage online is no longer a nice-to-have; it’s what’s expected. The direct writers have made huge investments in smartphone apps and websites that give the end user more autonomy. These features might not be significant to older generations, but as Millennials grow into the insurance market they demand them. Independent agencies that don’t invest in technology or find other ways to differentiate themselves are likely to be caught off guard in the coming years; in fact, without that technology it’s already difficult to attract anyone who grew up using an iPad. The second and perhaps more alarming reason for concern is that direct writers have been making big strides in improving customer loyalty. Not only are they attracting new clients, but also they’re retaining more of them. Until recently it was assumed that high churn is expected for low-cost insurance providers. If they were attracting customers solely based on low prices, then the same customers would change providers as soon as a better offer was presented to them. But these same low-cost carriers are improving the client experience to the point that it’s making a big impact on their retention numbers. They’re leveraging data to offer more tailored products. 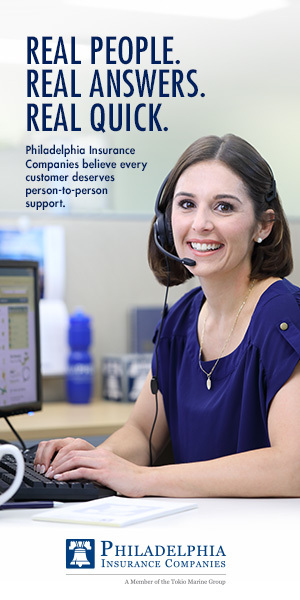 They’re also opening new call centers, improving client communication, and streamlining claims processing. For all their efforts, we’ve seen the average Net Promoter Score for direct writers almost double since 2012, which is a massive improvement in client loyalty. The good news for independent agents is that, no matter what strides direct writers make in client satisfaction and loyalty, they’re still unable to develop personal relationships with their clients. I don’t mean a generic email from an animated mascot from TV, but contact from a knowledgeable independent agent who personally (or at least professionally) knows the client’s family and their needs. 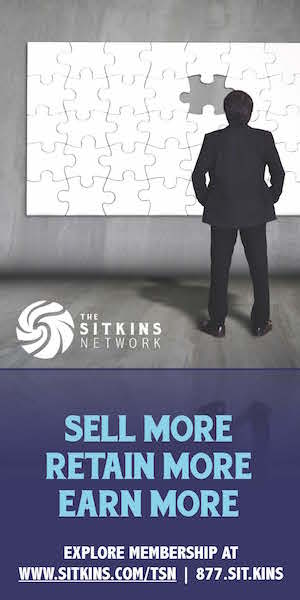 The most successful independent agencies focus more on selling the relationship than they do on selling the insurance products themselves. Embracing this notion and taking deliberate action to cultivate these relationships is the key to being competitive in today’s market. At Rocket Referrals, we hear stories every day from independent agents about how they’ve made a positive impact on a client after taking steps to improve the relationship. Not long ago an independent agent we work with agreed to start sending birthday cards to all of his clients. At first he was reluctant to do so, but we walked through the ROI with him and he got on board. Just a couple of weeks later a client showed up at the office with a vase of flowers and a big smile on her face. With tears in her eyes she told the agent that it was the first birthday card she’d received in years, and that up until a few years ago her mother, who had since died, would always mail her handwritten birthday cards. She was thankful not only for the card but because she worked with an agency that cared about her personally and made time for the little things. With just a single card having such a profound effect on a client, imagine the impact this approach could have throughout an entire agency. What made this particular birthday card so impactful is that it was personal and that it was sent in a selfless spirit. The agency simply wished her a happy birthday and good luck for the upcoming year. Nothing in the card suggested additional coverage or asked for a referral. I understand that this goes against the common belief in the industry, which is that agents always need to be selling. That’s a myth. Some agents are tempted to squeeze a call to action or a hidden agenda into every communication they send out. This happens not only in birthday cards, but also in emails with signature lines asking for referrals. And some agencies hand out those magnetic calendars with an agency logo plastered all over them (so they’ll think about you the entire year, I guess). I’ve even seen an independent agent hand out pumpkin pies for Thanksgiving with his face literally baked into them. I suppose he doesn’t want his clients to forget who gave them the dessert until they bite into his face. The bottom line is, we all know when someone is trying to sell us something. When we get automated birthday emails probing for referrals it doesn’t exactly elicit a warm and fuzzy feeling. As a rule of thumb, don’t mix relationship-building communications with solicitations for business. Instead, build the personal relationship with meaningful communication that doesn’t have an objective other than adding value to your client. This will build loyalty and with it the likelihood that clients will refer and buy more products. After the client is warmed up you can send emails targeting cross sales or for requesting feedback or online reviews. Like beer and whiskey, each kind of communication is fine on its own. But whatever you do, don’t mix them. If you’re unsure of the ROI of sending personal communications like birthday or holiday cards, keep this in mind: If a handwritten card costs you about $2.25 to send, and your average annual commission per client is around$450, you’ll increase your bottom line when only one out of every 200 cards you mail either encourages a client to stay for an extra year or leads to one referral. Developing and investing in personal relationships with clients is the best way independent agents can remain competitive. But when building a strategy to do so, you need to remain selfless in your approach. Don’t think of every piece of communication as an opportunity to sell something. Rather, embrace a strategy of building relationships and fostering trust in those relationships. They will pay off organically.